This cheered me up. Seriously! Also, here's something else I found pretty cool. Actually, I didn't read the whole thing yet. I saw the headline and decided to put it up here. Enjoy! Obviously Bigfoot has migrated north for the winter. Ummm... That pic kind of looks like a walking whale. Dun Dun Duuuuu!!! The mammals of the sea are out to get us!!!! Whoa! That's cool! I agree with you, Mushroom Cloud, it would be so cool to have one as a pet! Dangerous: not to be annoying by correcting you but Antarctica is in the south. I found out how to watch YouTube in HD. You just add &fmt=22 (if you don't log into an account) to the URL for the highest picture quality, but I think that you need to download Flash Player for that. Granted, the picture isn't as good as TV, but it's better. By the way, if you want some great nature videos, try BBC One. 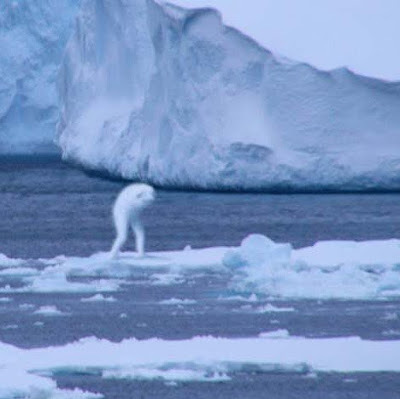 Ningen is just Japanese for people, right? That's... generic. Oh that reminds me Kirsten, in the Lower East Side on Mott st. there is this corner with AMAZING art in front of this store i think. Im kicking myself for not telling you earlier but you should check it out. lindseybookworm; I feel sorry for you. Everybody; How's the rage going? Good? Great? Down the toilet? Also click on on my name and look at the new post I put up on my blog as of yesterday(Jan 11). The links have some cool stuff. Actually it depends on your idea of cool. I liked it! HOLY CRAP! I HAVE NO IDEA WHATSOEVER WHAT A MOOK IS, BUT I WANT ONE!!!!!!! Yeah Forrester?ummmmmmmm.. It's kinda dying. the rage I mean. idk what 2 do!!!!! Kirsten; You have a mook that looks like a snow monster and then someone sees the snow monster. APOCALYPSE!! 1. Every single one of us is allowed to drive. 2. We can afford a plane ticket. Also, we need to come with a meeting place for all of us blog readers to gather at when the world ends! Everybody must bring the biggest fireworks they can get! And cookies. And fudge. And anything else that will make it more like a party. Even in the face of death, it's better to laugh than to cry. I heard that somewhere. Kiwi; It's not like we don't deserve to have them take revenge. 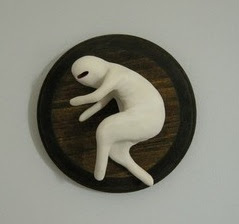 Ananka, I don't know what a mook is, but that mook hanging on your wall is so funny to me because I have no idea what it is, it's just creeping on the wall, you are so cute Ananka! Opulently I to but I about the list inform should secure more info then it has. Reminds me of the uniforms the Irregulars wear..............I want one. i'm not even going to look at the link you've given me. The Blue Hill Horror story had me awake and trying to sleep in the loungeroom with the tv on for more than two weeks.